The exact moment Laura Byrne and Matty J realised she was pregnant. 1. The exact moment Laura Byrne and Matty J realised she was pregnant. 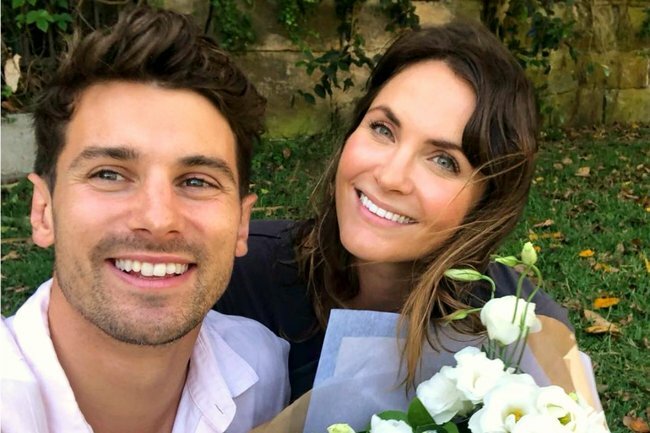 When Bachie couple, Matty J and Laura Byrne announced their pregnancy just five days ago, we were overjoyed. 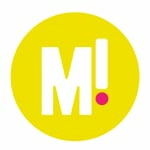 Speaking to Who Magazine, the 31-year-old shared the moment both she and Matty J realised she was pregnant. Although there were signs – they had been “trying for a few weeks”, she was consistently exhausted and often felt queasy in the mornings – the couple didn’t expect to get pregnant so quickly after their initial miscarriage. And their suspicious were quickly confirmed. “I was just so overwhelmed I was in tears,” she shared. And now we have an adorable Bachie baby due sometime in June, 2019. 2. Oh. Miley Cyrus just divulged a NSFW fact about Liam Hemsworth. It’s a well-known fact that 26-year-old Miley Cyrus has been engaged to 28-year-old Liam Hemsworth since 2013. The couple have openly shown affection and love for each other, but now we know some… lesser known facts about Liam Hemsworth. Miley Cyrus responded, “Mine does! Don’t give up!” and oh, that was… a lot of information to take in. But Miley we have some news for you. As happy that we are that you found a tall empathetic man with a good d*ck and common sense, there are no Hemsworths left. You are the lucky one, Miley. 3. Jason Momoa on the one thing that would make wife Lisa Bonet leave him. Jason Momoa&apos;s luscious hair is a signature part of his look. But it&apos;s not just the inevitable charm that keeps the 39-year-old from chopping it off. 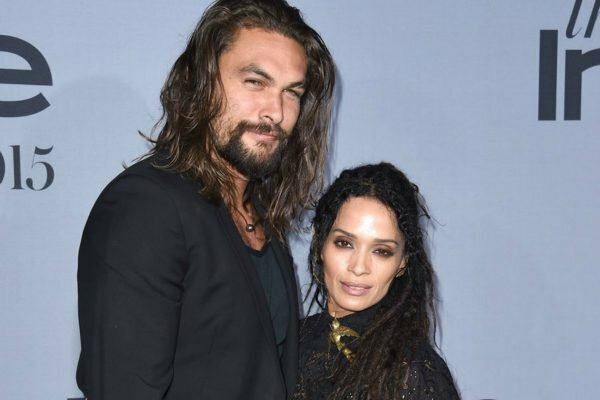 The Aquaman star says his wife, Lisa Bonet, would leave him if he cut his hair off. "My wife would leave me if I cut my hair, so I just don&apos;t cut my hair," Momoa tells the Daily Telegraph. "I am not cutting my hair for a while, I will tell you that much." He added this his Aquaman character required that he wear his hair long. "I am going to be playing this guy for a while and I don&apos;t want to wear a wig," Momoa further explained. "I think we are good for the next two years." 4. Why Blake Lively and Ryan Reynolds were fighting in Hugh Jackman’s cafe. Hugh Jackman has shared a hilarious photo of Blakey Lively and Ryan Reynolds to his Instagram. In the image, Ryan Reynolds is pictured serving Blake Lively a coffee from behind the counter, but she appears to be... frustrated. Luckily, it appears the photo is in jest, after Hugh Jackman shared the photo to his Instagram. Our policy at @laughingmancoffee is to make customers happy - not drive them insane (exhibit A = @vancityreynolds). @blakelively your coffee is on the house ... forever. "Our policy at @laughingmancoffee is to make customers happy - not drive them insane (exhibit A = @vancityreynolds). @blakelively your coffee is on the house ... forever," he captioned the image. 5. Bachelor star Michael Turnbull and his girlfriend are engaged after two months of dating. Here&apos;s some Bachie news we were 100 per cent unaware of until today. Michael Turnbull (2018 Bachelor in Paradise hopeful and the runner-up of Sam Frost&apos;s season of The Bachelorette) is engaged, to his partner of two months, Natasha Candyce. Announcing their engagement to Who Magazine today, the couple met in January of this year, before officially confirming their relationship in September. Michael then proposed on November 16 during a romantic cruise down the Brisbane river. I guess when you know, you just know. You can read about all the other details of their engagement in our earlier post here.